Kwix UK brings you the world’s first efficient hand held straightening tool which easily and accurately straightens tubing, piping from coils and cables. This revolutionary and affordable Kwix tool will straighten all types of light wall coiled tubing such as copper, aluminum, stainless steel, brass and various others such as RF/Microwave cabling. » Manufactured to fit a range of coiled tubing, piping and cable sizes. Each Kwix tool is made to straighten a fixed diameter size. Kwix UK has manufactured the Kwix tool for all popular coiled tubing, piping and cable sizes OD (outside diameter). If you are in need of different sizes, please enquire. Kwix UK can manufacture custom sizes to fit your requirements. The Kwix tool is very easy to use. 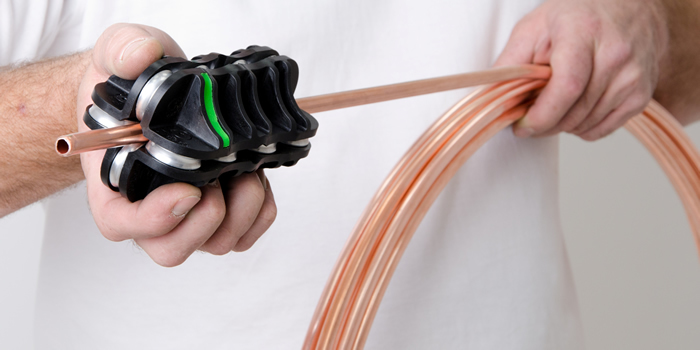 Firstly, straighten the end of the tube, pipe or cable by hand and feed the tube, pipe or cable through the rollers, then grip the Kwix tool firmly and start to feed more of the tube, pipe or cable through the rollers and then slowly work the Kwix tool towards you in both directions along the tube, pipe or cable until the tube, pipe or cable is straight. 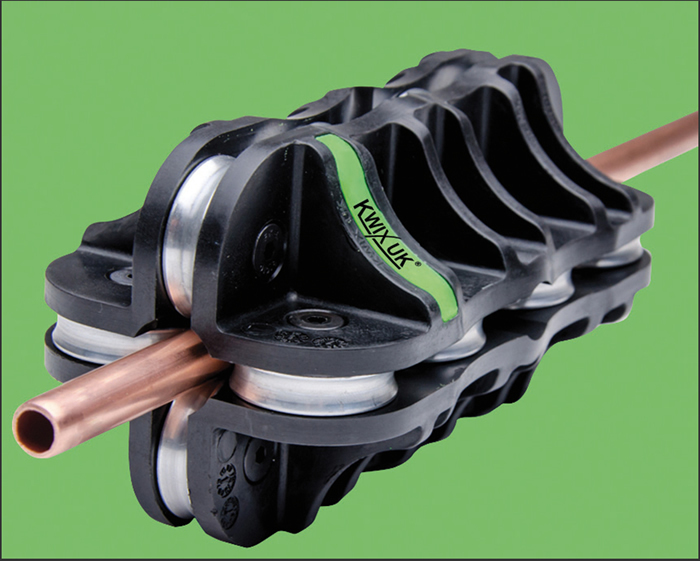 The Kwix tool's rollers spiral along the tube, pipe or cable to straighten and strengthen it, completely straightened tubes and pipes allows the passing of fluid or gas to accelerate.